A photo is shown of Ms. Kraft (Bebe Neuwirth) with Broadway stage legend Chita Rivera. 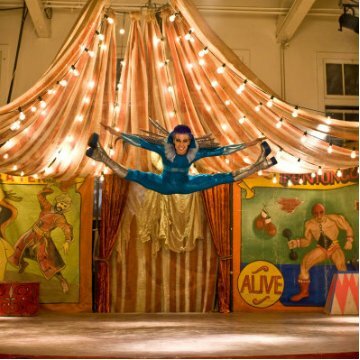 Rivera notably played the role of Velma Kelly in the original 1975 Broadway production of "Chicago". Neuwirth also played Velma Kelly when "Chicago" was revived on Broadway in 1996. 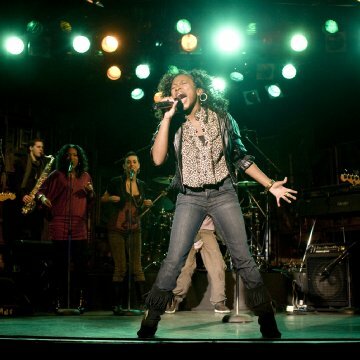 Both actresses received Tony Award nominations for their portrayals of the same character. Neuwirth went on to win the honor. Factual errors: Mr. Cranston asks Denise to be the accompanist for the school's upcoming production of "Chicago". 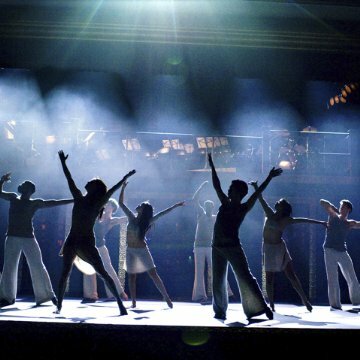 In the year 2009, this would not be possible since the licensing company which handles the theatrical rights for "Chicago" restricts the show from being produced (even by amateur groups and schools) anywhere in the greater New York area while there is an open-ended production running on Broadway. Tons of homogeneous talent -- the tooth bleach is blinding. No story, no rhythm (oddly enough), over-processed young actors with expensive haircuts and wardrobe. This film isn't about a school with young hopefuls, it's about a fictitious institution packed full of painfully beautiful pimple-free young people. In the original film, a handful of personalities burst onto screen and their characters were revealed as layers peeled away. In this version, tons of hotties are thrown in and popped like corn. Nothing memorable occurs, no great songs or outstanding characters. 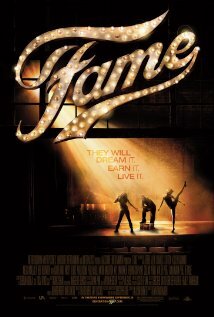 This should have been called "Fame: Another High School Musical" Looked up the director on IMDb.com and he produced Briney Spears' tours -- talk about unoriginal, packed with fluff, and emotionally depthless. He brings all those qualities to this film.